In the first statewide referendum on trans rights, voters said “yes” to maintaining a 2016 law that extended nondiscrimination protections to trans people. In the first statewide referendum on transgender rights, Massachusetts voters on Tuesday said “yes” to maintaining a 2016 law that extended nondiscrimination protections to transgender people, including their use of public bathrooms and locker rooms that align with their gender identity. With nearly 50 percent of precincts reporting, the “Yes” vote garnered 70 percent of the vote, compared to 30 for the “No” vote. The results are pending official confirmation. The outcome in Massachusetts was a huge relief to LGBTQ-rights activists across the country, who feared that a vote to repeal the 2016 law would prompt a wave of similar efforts to roll back protections in other states. Already, some protections at the federal level are under threat from President Donald Trump's administration. 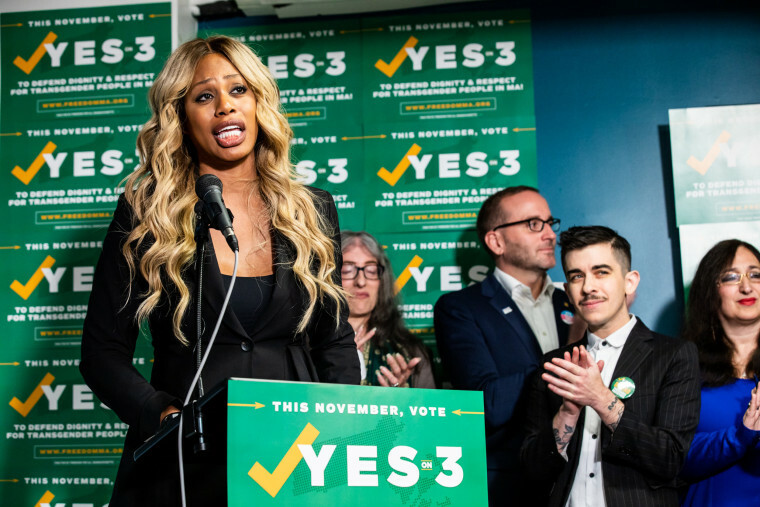 The ballot measure attracted the attention of celebrities and transgender advocates across the U.S., who used the hashtag #YesOn3 to show their support for the anti-discrimination measure. In April, voters in Anchorage, Alaska, defeated a similar initiative to the one on the Massachusetts ballot, and similar measures in Washington and Montana recently failed to make it onto the ballot.